Super interessanter Beitrag über Didi Chuxing und warum man sich die genau anschauen sollte! Extrem beeindruckende Zahlen. Must read! As China’s cities continue to face rapid population growth, the demand for transport solutions ever increases. 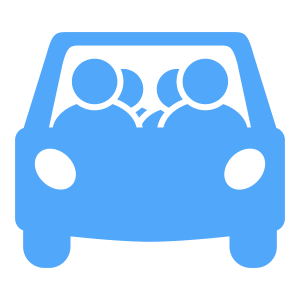 Car-sharing is booming around the country, with annual growth rates of 45 percent predicted until 2025. But Chinese ride-hailing companies are branching out beyond their traditional business and rapidly expanding up the value chain: no longer do they just provide a platform that connects clients with available cars, they now offer maintenance, have installed their charging stations, are selling services such as traffic management and optimization to city councils and are even thinking of buliding their own cars. With more than 80 percent market share, Didi dominates China’s ride-sharing market. While Uber has undoubtedly proven its competitiveness on a global stage, it struggled to keep pace with Didi in China. In August 2016, after a bruising and costly battle for market share, Uber China ceded to rival Didi’s $35 billion offer and abandoned the Chinese market. Will the popularity of ride sharing in China continue to rise? We believe the expected growth comes down to three factors. First, people are increasingly looking for more options than taxis can deliver. That’s where a company like Didi with its taxi-hailing, premium-car, carpooling and bus-sharing services comes in. Secondly, chauffeur services offer a wider variation of customer options and reach more client segments. For example, Didi offers customers professional chauffeurs driving luxury vehicles. Premium beverages offer a personal touch. Finally, regulations are helping ride-sharing to thrive. Chinese central and local governments are promoting the ”sharing economy” and are helping to optimize cost structure. Nächster BeitragShared Mobility: Wie funktioniert eigentlich privates Carsharing? Shared Mobility: Sind Millenials Innovationstreiber oder Getriebene? Shared Mobility: Wie viele US-Amerikaner nutzen wirklich Ridehailing?